Reprint. Written in collaboration with the London Fire Brigade. Originally published: as Sherlock. London: Century, 2018. 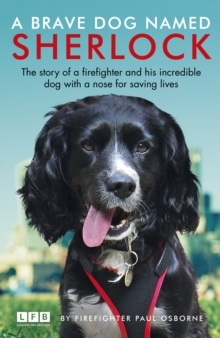 ***As seen in the Daily Mail and on ITV London News***____________________ The incredible true story of Sherlock, the brave dog with a nose for saving lives. Firefighter Paul Osborne works with the Fire Investigation Dog unit, where he handles Sherlock - an excitable, bright-eyed cocker spaniel. What makes Sherlock different? He's the most talented investigative dog the Fire Brigade has ever produced, capable of identifying extraordinarily subtle traces and scents even after thousand-degree blazes - even when he has to wear special protective boots due to the dangerous environments. Today, Paul and Sherlock fearlessly plunge into the most dramatic fire scenes in London, helping to keep the capital safe around the clock.